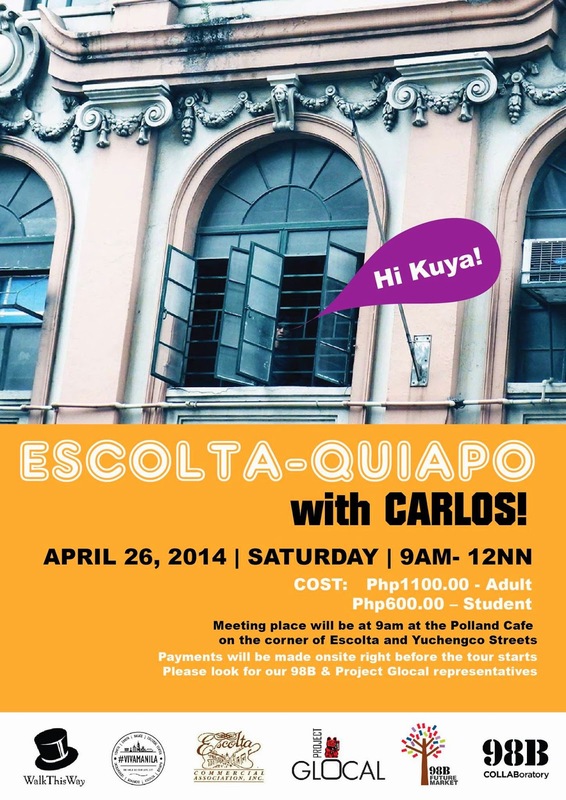 98B held a special Escolta-Quiapo walking tour last April 26 to serve as fund raiser for Project Glocal. 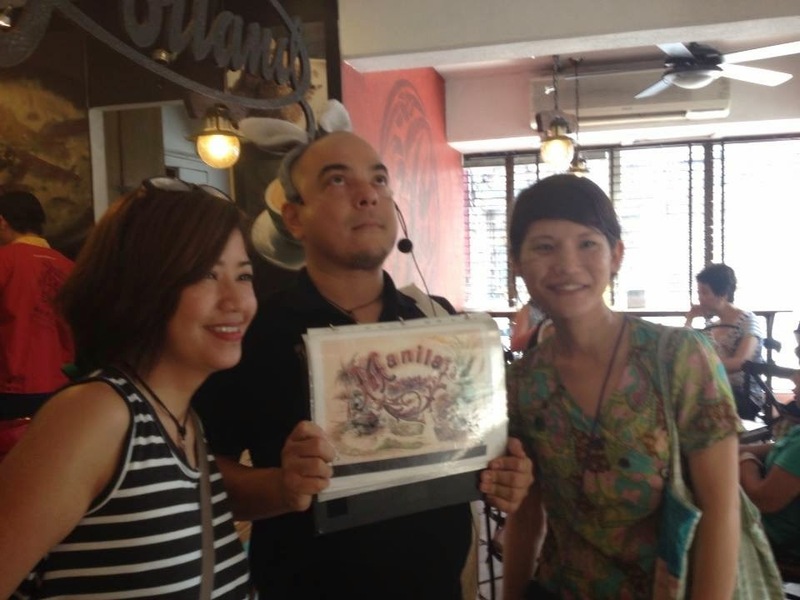 Walk This Way's Carlos Celdran met up with the curious crowd of city dwellers, students and Team Transi(en)t Manila at Polland Cafe on the corner of Escolta and Yuchengco streets in Binondo. The morning pasyal started with free snacks courtesy of Polland Cafe owner Abigail Lee Tin. 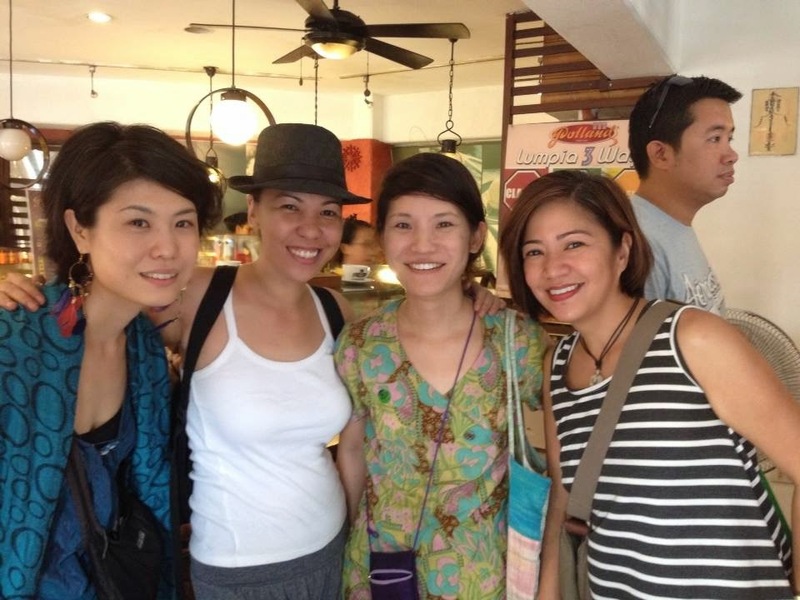 Tour takers enjoyed the hot off the oven hopia, sago at gulaman and coffee. Tummies and energy reserves filled, the group continued the walk along old Manila's streets. The always fun Carlos Celdran kept things lively by with his bunny ears and having the tour takers sing along with him as they inspected the Art Deco buildings and shops in the area. 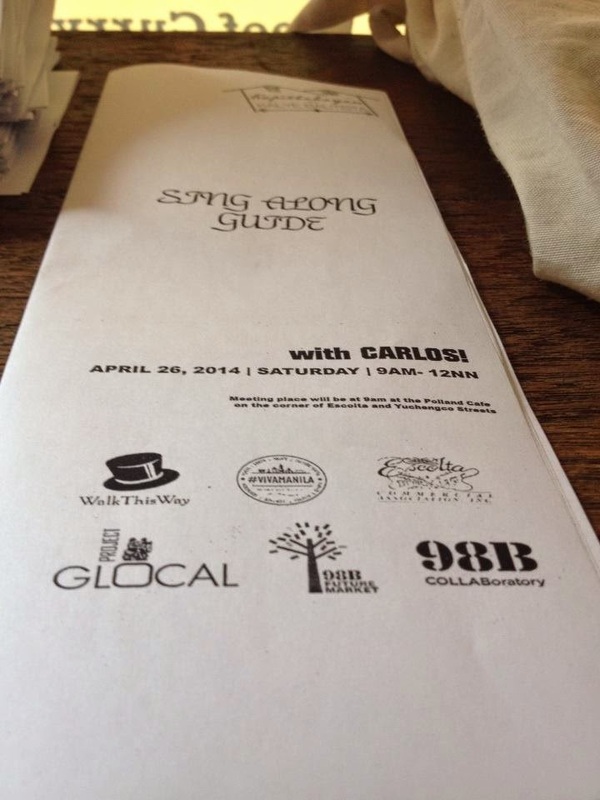 Project Glocal thanks 98B COLLABoratory, Future Market, Carlos Celdran and Walk This Way, #VivaManila, and the Escolta Commercial Association for this amazing tour and opportunity. Sa uulitin!